Whether you’ve already passed stage 3 of the ADI test, or are working towards your driving instructor training requirements, you may have heard the term ‘coaching’ being thrown around within the industry. Coaching is a hot trend in the driving instructor field right now, with more and more training providers beginning to offer these courses to qualified ADIs. One of the most popular qualifications is the BTEC in England, Wales, and Northern Ireland, although we can expect similar options to pop up across Ireland as the coaching approach to driving tuition continues to take off. So is coaching right for you? 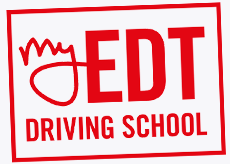 The coaching approach to driving tuition was born from the idea that, while the ADI examination is adequate in producing highly skilled, technically competent driving instructors that tick all the legal boxes, it’s somewhat lacking when it comes to the teaching aspect of driver training. What the ADI examination does is ensure that ADIs are familiar with the Rules of the Road, can put this knowledge into practice in a real life setting, and can transfer their own knowledge onto learner drivers. What it doesn’t do is lay the foundation for teaching. Think about school teachers, for example. School teachers are required to sit an examination in the subject area they wish to teach, and then undergo dedicated teacher training separately. This isn’t the case for driving instructors, and many newly qualified ADIs are finding that while they have the technical experience required to teach, they don’t have the practical experience - they don’t fully understand how to coach their students. What Will I Learn on a Coaching Course? What you’ll learn during stage 3 of the ADI exam is how to be professional yet friendly around your students. What you won’t learn is how to communicate in a way that ultimately improves driving performance. A coaching course will look at communication prompts - subtle yet probing questions that you can ask, for example - that encourage a student to reflect upon their technique and rake the correct and appropriate measures to rectify any issues that they’ve been able to identify. Suitable feedback is vital for two reasons: firstly, it enables the learner to grow and develop their skills as a driver, and secondly it allows the learner to draw upon your feedback techniques in order to adequately judge their own performances when practicing on their own time, identifying areas that require improvement. ADIs will cover a number of feedback techniques in the classroom, discussing the pros and cons of each method and evaluating their usefulness in a given situation. Essential skills is a very varied and flexible module, but will usually cover the importance of lesson structuring and will discuss some of the best techniques that will make the most of both your own time and your student’s time during the lesson. This module may also explore various delivery methods and promote the importance of tailoring your delivery based on each individual’s requirements, needs, and personality so that your coaching is beneficial and effective. Should I Go Down the Coaching Route? 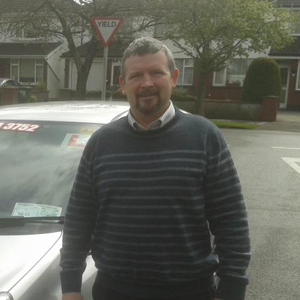 Coaching is not required for you to advertise yourself as a driving instructor in Ireland, or offer your services to learner drivers. Many ADIs secure good driving instructor jobs or launch successful businesses without this additional training. However, becoming a driving instructor is a competitive business, and focusing on your coaching technique can be one way to accelerate your reputation growth and give you the edge over your competitors. If you come from a background that includes no form of formal coaching training - you’ve never undertaken teacher training or worked in an educational establishment, for example - then you may wish to further explore the idea of coaching.